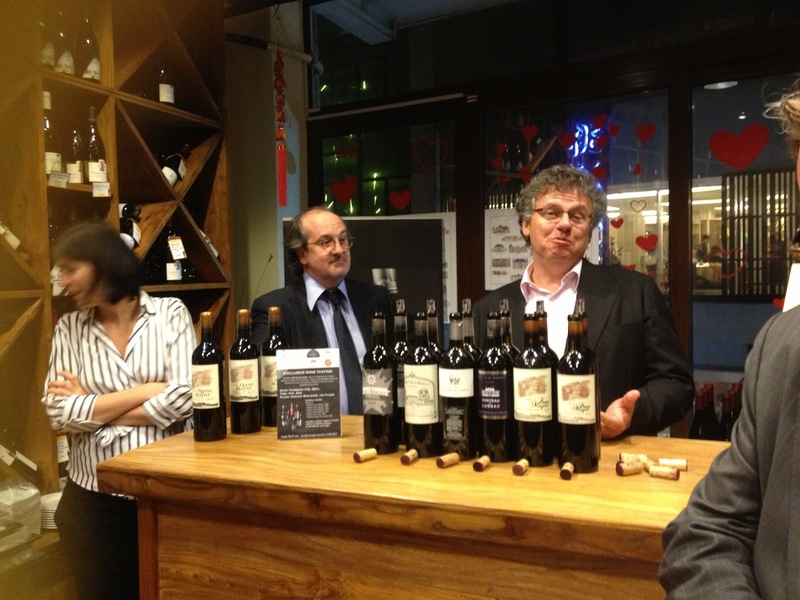 Yesterday was the Grand Vins de Bordeaux tasting at the Grand Hyatt in Wan Chai. Greg head over pretty early and said it was pretty remarkable for several reasons. One being the amount and quality of Chateau represented. And two the amount of people! Apparently there were over 500 guests in attendance all trying to get their hands on some of the world's finest wines, wow. 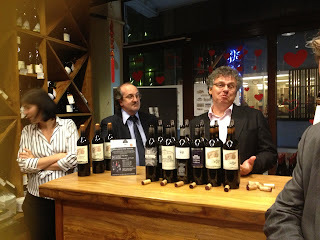 Later the same day, I was fortunate enough to attend Monsieur Chatte's Bordeaux tasting at their Sheung Wan shop. Overall review: Impressed. I felt the entire tasting was flawless. Casual, informative, and most importantly, great wine and food. Everyone present including Monsieur Chatte himself, Celine, and their wine and cheese experts, were super knowledgeable, pleasant, and enjoyable! We started with a brief intro from chateau owner Harvey Laviale. Harvey purchased four chateau in the right bank of Bordeaux back in 2004 and has been overseeing their production in the meantime. He was in town for the Grand Vins tasting, and since he will have his wines available at Monsieur Chatte shortly, he led us in a tasting of some of his recent vintages. Up first was Chateau Vieux Maillet 2007 from Pomerol. 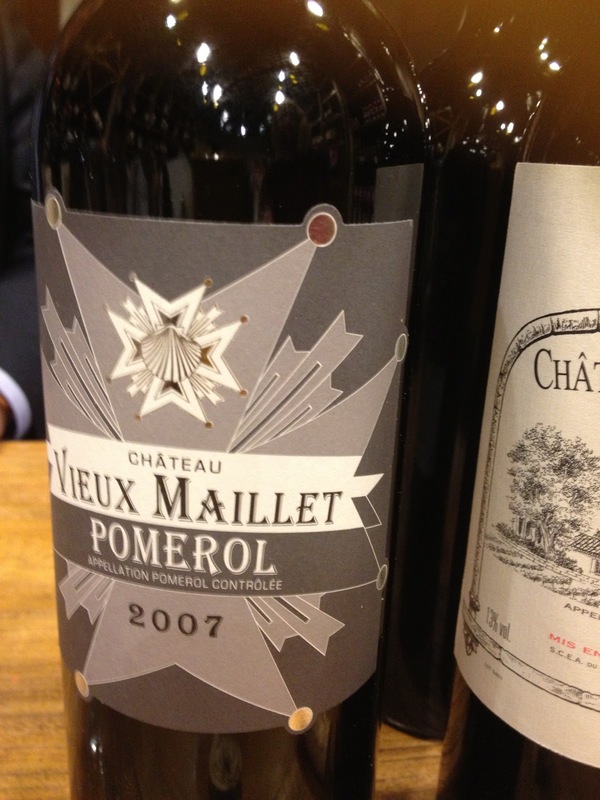 This is a blend of 90% Merlot and10% Cabernet Franc, and was young and fresh on the nose, and very tannic on the palate. There was a lot of contrast which I enjoyed, but was told that this wine probably won't make it too much longer as it's lacking in some key elements for aging. 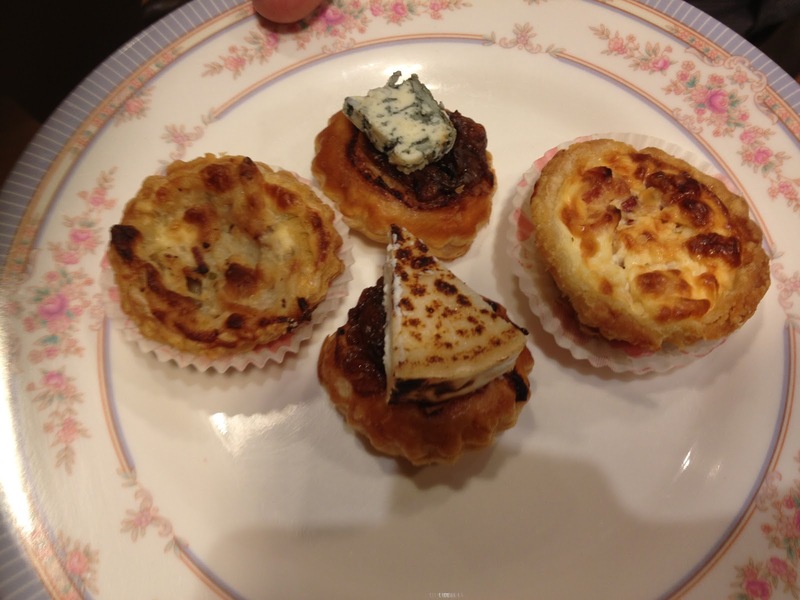 Everything was prepare by Monsieur Chatte, and everything was wonderful! I especially loved the veggie quiche and it was just perfect with some of the older wines. 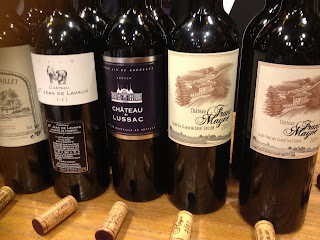 The we tried by first round favorite Chateau Saint Jean de Lavaud 2010. This had up front fruit with some chocolate notes and a crisp minerality I enjoyed. This was masculine and meant to drink young according to Harvey. This is about when the Comte was being passed around. Nutty, rich, and totally delicious! Then we tried Chateau Franc Mayne 2007 and 2004. These are Saint Emilion Grand Crus. 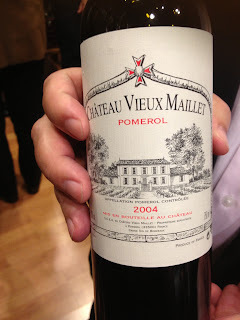 We learned that both 2007 and 2004 were 'Typically Bordeaux' vintages. Lots of rain and lack of sun means that these wines are generally generally not meant for aging as they don't have enough of the sugar, tannin, and acidity to hold up over the years. These were both plesant drinking now, though. People have their jeans and their flannels. You wear your jeans when you want to get dirty. When you're trying to impress you wear your flannels. Can you guess which the 2010 is? Flannels! This was lovely and you could taste that it has potential to age into the next decade. Twas a wonderful night of good wine and food. I would highly recommend you get in on one of their tastings! 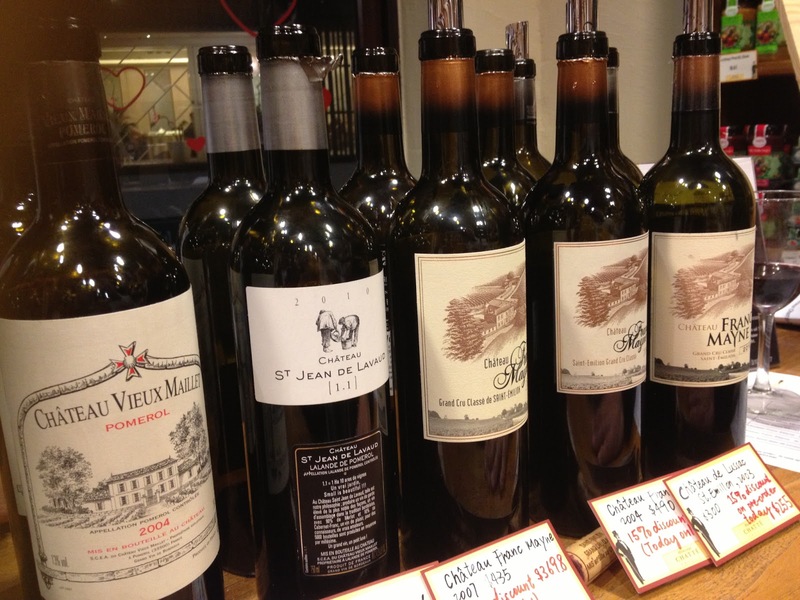 These wines and amazing cheese and sausages and my favorite olive baguettes are all availabe in Monsiuer Chatte in Sheung Wan and Elements.